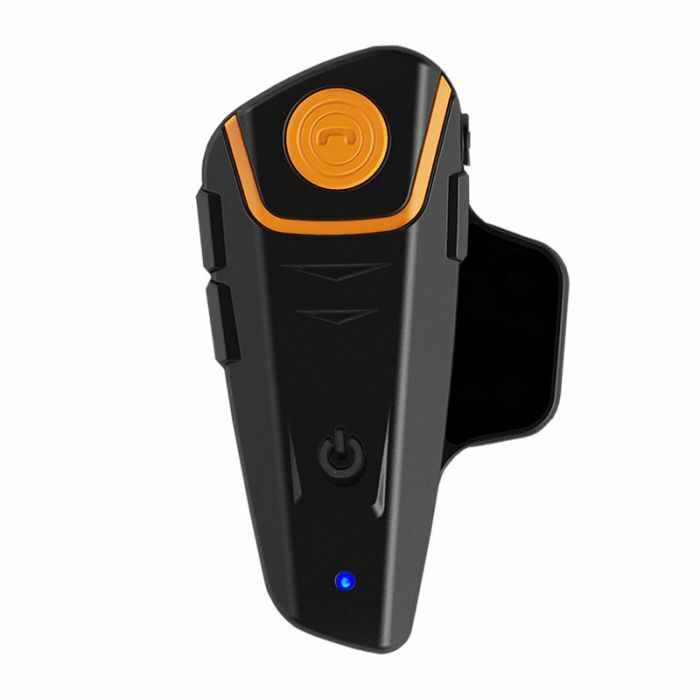 The Motorcycle Intercom & Bluetooth Headset is designed for the motorcycle rider and passenger who wish to have clear and reliable wireless communications while riding. This headset is compatible with Bluetooth cellular phones and can be suited to any sort of helmet for motorcyclists.
. Bike-to-bike intercom for rider& passenger or two separate bikes up to 800-1000 meters.
. Up to 10 hours talk time when connected to cell phone.
. Up to 6 hours talk time when using the intercom feature. (2) Call out, call answer, call reject, call hang up. (5）Support the last number redialing. (9) Automatic switching among bluetooth cell phone, intercom, stereo music. (10) With DSP echo cancellation and noise suppression technology, crystal clear voice quality is guaranteed in a high speed. (11)Button panel is water-proof and sun-proof, while the design is durable. (12)Audio cable to connect MP3, GPS, walkie-talkie and so on.